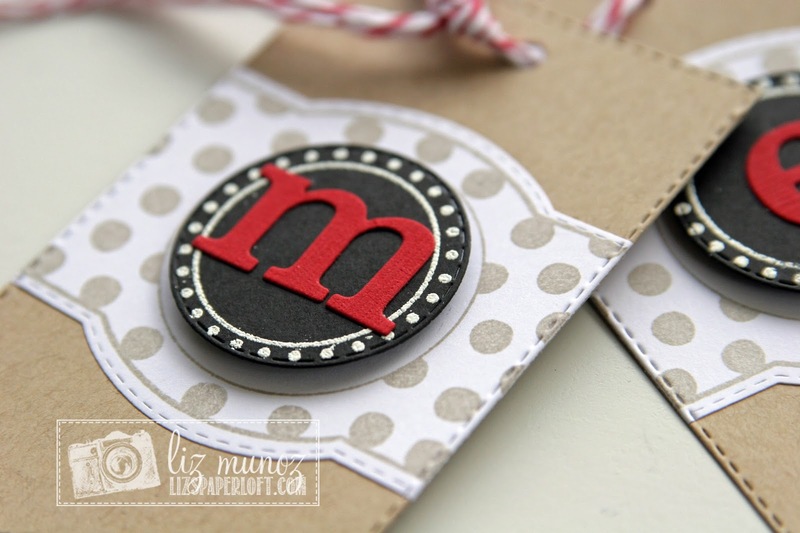 Liz's Paper Loft: Tag It Tuesday ~ Monogram Gift Tags! Happy Tuesday all my paper lovin' friends! I hope you had a wonder full Labor Day weekend! I spent the day (over 4 hours) on facetime with my daughter going over wedding plans. We got SOOO MUCH done! However since I'm a bit brain dead, I'm going to keep it this short so you have time to look at everyone's blog today! 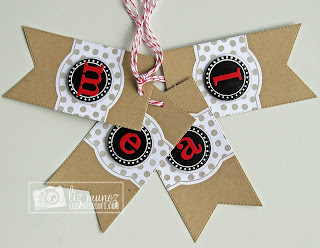 It's Tag it Tuesday over at My Creative Time! 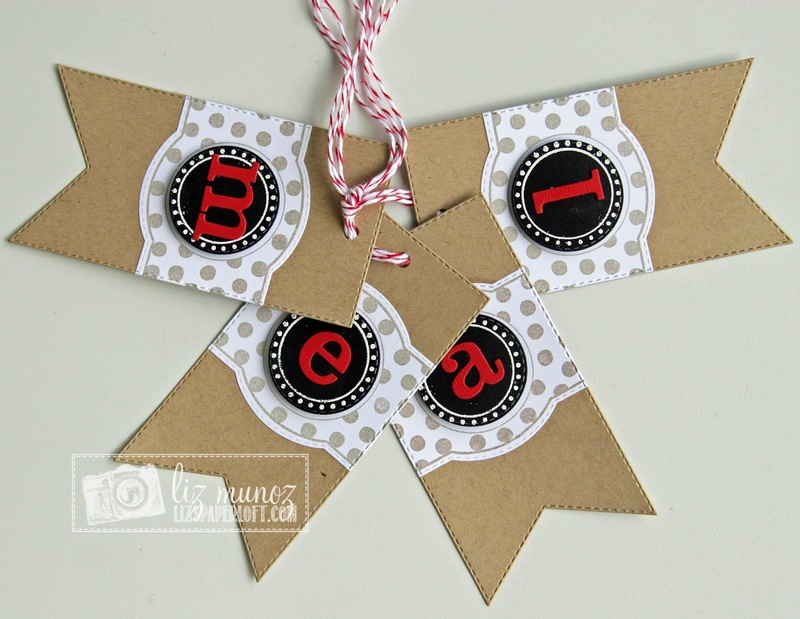 We were asked to make a set of 4 tags for any occasion. I chose to make monogram tags for Christmas! How cute is that!!! After stamping the image in the Vintage Label die, I attached it to the Tag Dies then ran it through the Big Shot with the Tag Dies again. 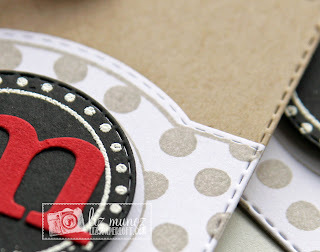 By doing that it created the stitching on the side of the Vintage Label Die. A little white embossing on the Scallop and Stitched Circle Die gave a bit more texture. 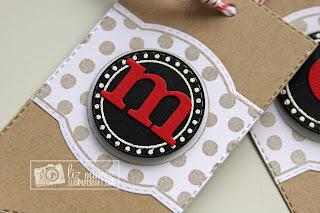 What a great tag and love your stamping cutting idea how clever are you! I am so going to do this. You are just so talented and thank goodness you do take the time to share it all. I love the colors you used too! Your crafts are always fun and make my day!! These are AWESOME Liz!! Such a GREAT tag idea!!!! LOVE the papers and the adorable personalized centers! These are adorable - so elegant! When I first saw them, I thought you were giving somebody meal tickets, LOL! Black, Red and White are so elegant looking together. I like the white embossing. I like the way you run the Label with the tag to get the stitching. Great job on your tags. Liz, I had to pop in and tell how great your tags were today! Love them! They are elegant and I just love the embossing! I never would have thought about combining both of those dies. Love it! Thank you.